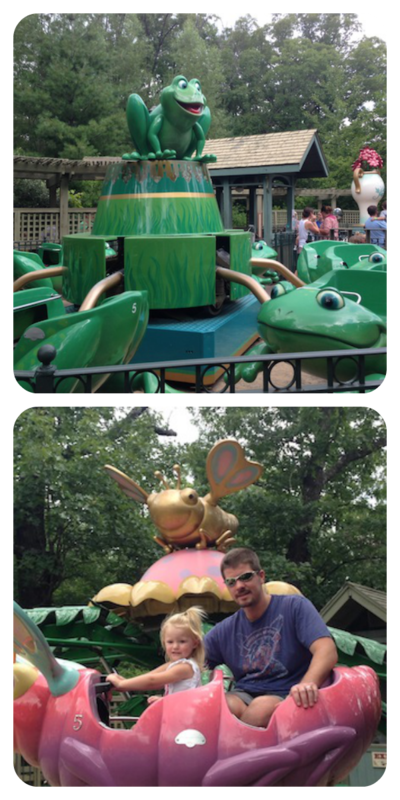 This was my first time at Silver Dollar City and although I had heard a lot about it, I wasn’t sure what to expect. 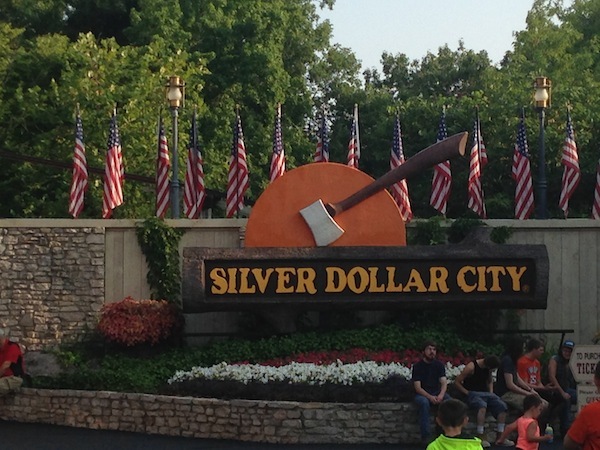 Silver Dollar City is owned by the Herschends Family from Chicago, who originally leased the Marvel Cave. 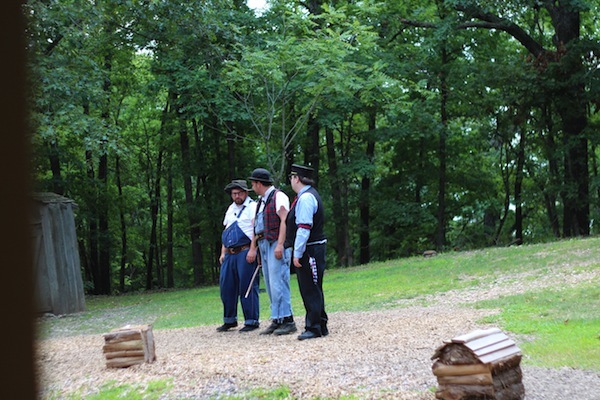 The park is modeled after a 1880’s era and the theme runs throughout the park. 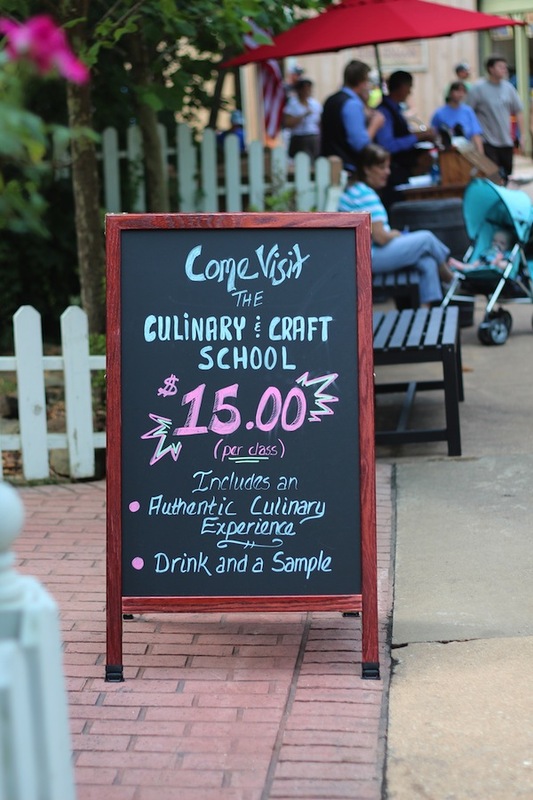 Filled with rides, shows and crafting stores such as Glass Blowing, Blacksmiths and more. 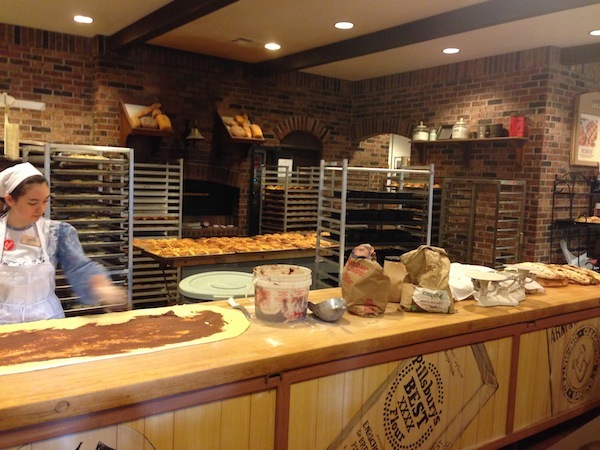 We started off with a treat from Eva & Delilah’s Bakery where the smell of fresh baked cinnamon rolls wafted out into the air before you even entered the bakery. There you could watch the cupcakes, cinnamon rolls and everything else being made. I chose the Apple Danish and my husband chose the Cinnamon Roll and we shared. It’s hard to say which was better because they were both so good. 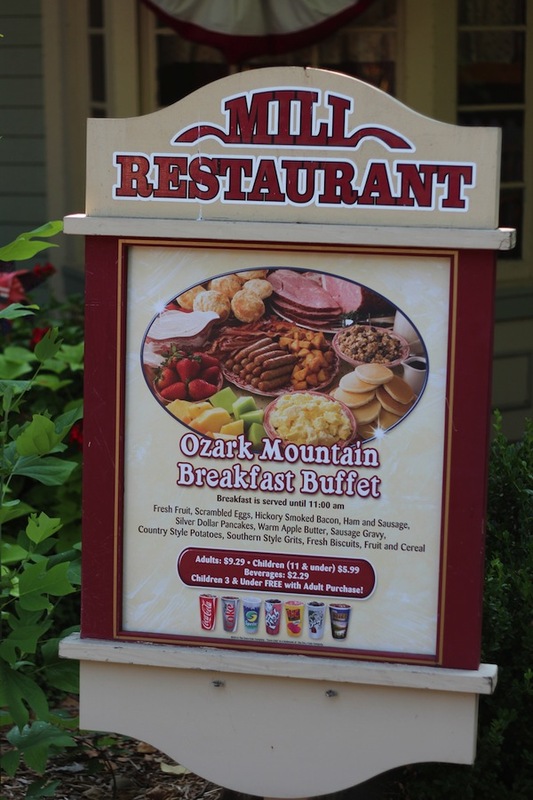 Next we headed for some breakfast at The Mill Restaurant where we enjoyed the Ozark Mountain Breakfast Buffet. There was a little bit of everything to choose from including eggs, sausage, french toast, pancakes, fresh fruit, biscuits, gravy and much more for under $10. It was a delicious breakfast and I highly recommend you start your day at The Mill Restaurant. 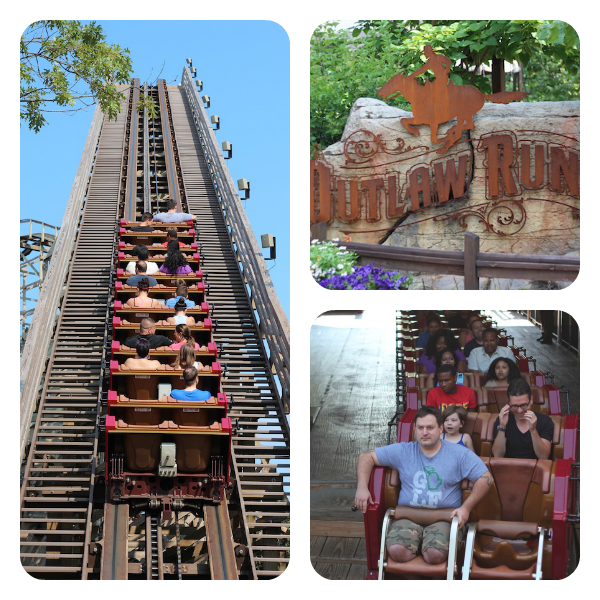 Next we headed off to the Outlaw Run, which features the world’s first and only 720º double barrel roll, with the first drop of 162 ft. (16 stories) at 81 degrees (nearly vertical) reaching a top speed of 68 mph. 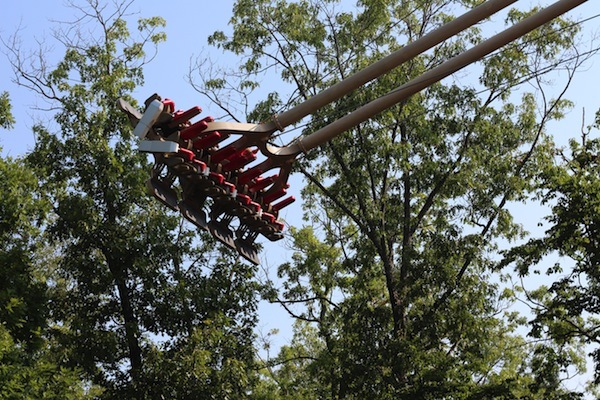 Outlaw Run debuted in March 2013 and was voted the Best New Ride of 2013. Along the way we saw the World’s Largest Swing, Wildfire, Tom and Huck’s RiverBlast and PowderKeg just to name a few. Be sure to pick up a map when you arrive so that you can make your way around. The park is like a big circle with little fingers off the main track. If you have small children with you and you aren’t sure what rides they will be able to ride, head over to the “Measuring Station” where they will officially measure them and give you a card which with all the rides listed they will be able to get on. Aubrey was 2 inches shy of 36″, but there were quite a few that she was able to ride on. She took a ride on the Happy Frogs and Wings of Wonder and a few others and enjoyed them all. 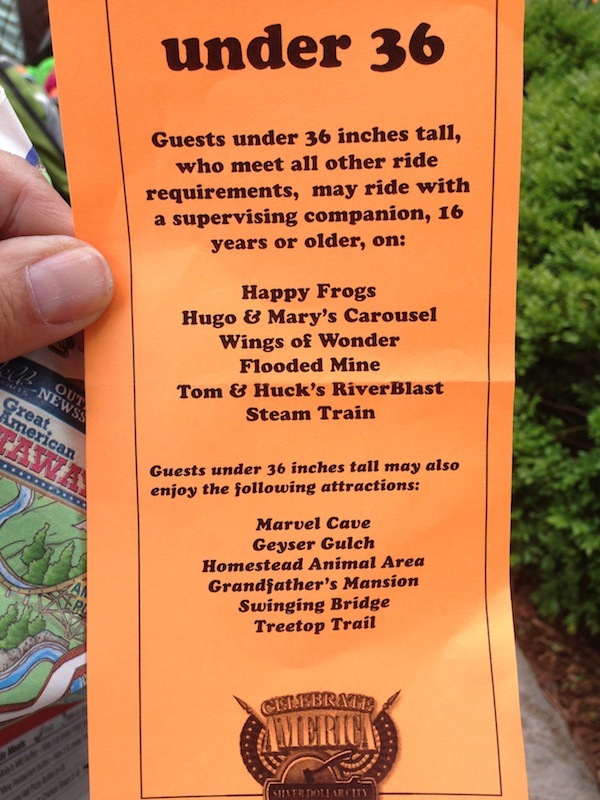 We all went on the Flooded Mine but didn’t get on Tom and Huck’s RiverBlast, another reason to go back. 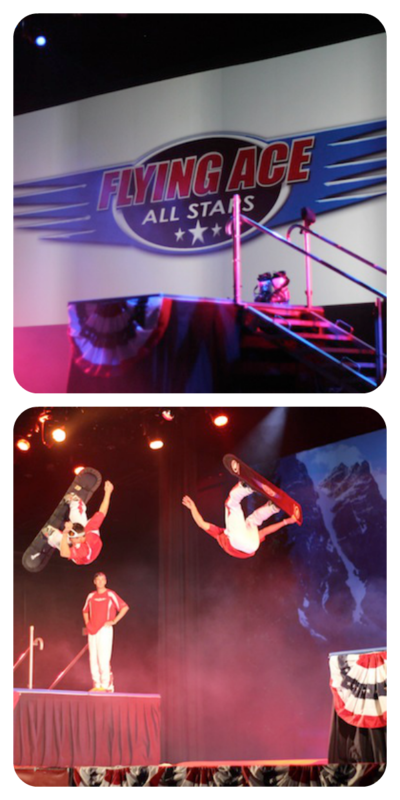 We had the pleasure of seeing one of the last shows of the “Flying Ace All Stars” which consisted of Olympic skiers and snowboarders doing tricks on a trampoline. They were amazing as was everything else at Silver Dollar City and was glad I was able to see them. I’m not sure what will be taking their place, but I’m sure it will be just as good, if not better. Of course, my favorite ride is the train which takes you around the park and comes complete with a train holdup. I was amazed to see that you could take a “Culinary Class” for only $15 and had I had more time, I probably would have. Just gives me another reason to go back next year. Let’s not forget about “Moonlight Madness” an end-of-summer celebration with extended night hours to ride, play and dance under the stars, with a NEW fireworks finale ending the Echo Hollow show each night. We had a previous commitment for the evening so unfortunately couldn’t stay. 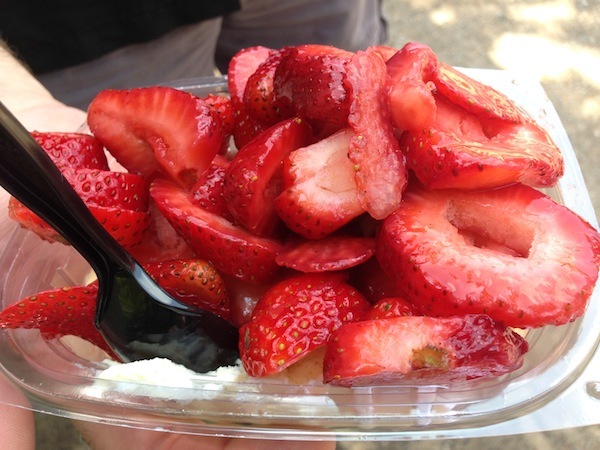 But we did finish off the day with some Strawberries ‘n Cream. I recommend buying a 2 park or 3 day pass to visit Silver Dollar City, White Water and the Showboat Branson Belle. Find out more information about Silver Dollar City on their website and connect with them on Facebook and Twitter. Be sure to sign up for their big announcement on Aug. 13 where you can win season passes. 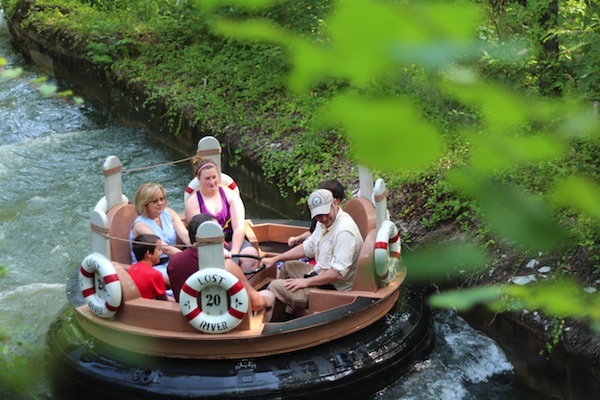 Silver Dollar City looks like a fun adventurous attraction and seems perfect for the entire family, a date sans kids or with a group of friends. 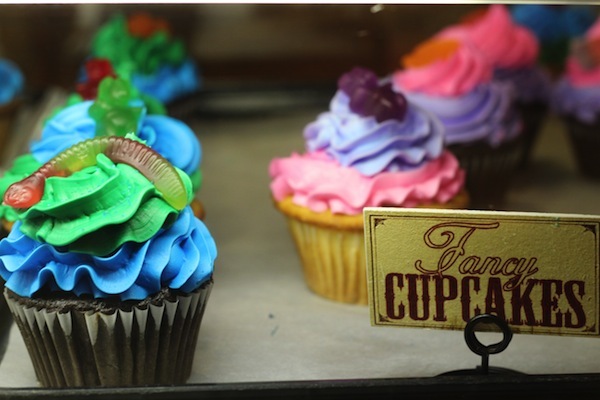 I would definitely make a pit stop at the bakery and glass blowing station!